Zinc plated threaded backer plate for use with connector tube and stems. 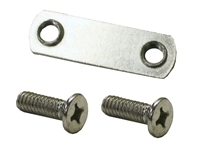 This kit includes two 1/4 x 20 mounting bolts flat head. These items are not included in this part, order separately. Top Cap Trim for AO2 2 Way Connector. OEM Version fits on original equipment products. 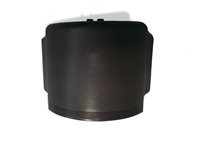 Plastic trim cover for use with stem (order separately). Mounts on the bottom of the connector. 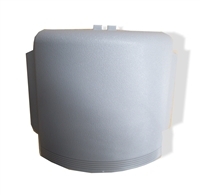 Pre assembled two way panel connector 39" H.
For use with AO2 system, can also be used on AO1 (remove stem in field). Includes, connector, mounting hardware and base trim. Pre assembled two way panel connector 47" H.
Dark Tone paint with dark tone base cover. Pre assembled two way panel connector 53" H.
Pre assembled two way panel connector 67" H.
Pre assembled two way panel connector 85" H.